Rosegal BlackFriday deals are coming up. up to 85% Off with huge amount of discount coupons and system upgrades. This guide will help you save your precious time and more money. Please make sure reading this before beginning your shopping trip. Verify your E-mail to get a valuable coupon is a good deal. Use it during the Black Friday & Cyber Monday Sale（https://www.rosegal.com/promotion-black-friday-deals-special-175.html?lkid=11981247） and save more of your hard earn money is what we hope to see. By submitting your E-mail, you are able to receive coupons up to 20% Off, and each can be used twice as well. (Nov.24~Nov.29). The coupon will be sent to your E-mail after November 21st. Don't miss it. From November 24th~ November 29th, every new sign-up members will receive a 20% Off coupon. When the time pass, it drops to 15%. This is the best opportunity to join us! Rosegal Lucky Draw system is now online. Use your Rosegal points to spin for gifts. Cost only 100 points for each spin, but the gifts are amazing. Have a try, cause why not? Run out of coupon? Don't worry about it, we got you covered. 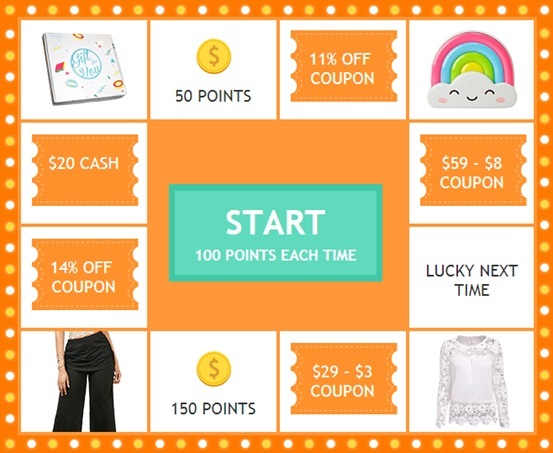 From (Nov.24~ Nov.29), over 100000 valuable coupons will be given out daily. Including coupons for category / hot sale products and more.Be smart and collect them to your advantage. And make sure you don't forget to use them. Discount up to 85% Off during Rosegal Black Friday Sale. The biggest sale of 2017. Use these codes down below for further cut price! 【FRIDAY20】 20% Off for once. Only serve the first 200 members of each day. Be quick! 【FRIDAY18】18% Off for three times. Everyone could use it! 【FRIDAY】$5 OFF $49/ $15 OFF $99/ $35 OFF $199. No limit. Also, remember to Use sitewide Code:【RGVIP】to enjoy another extra 12% Off and the BUY 1 GET 2 FREE zone (Pack of 3 Under $59). Explore and find your faves! Free tracking over $30 and 45 days return warranty. You don't need to pay for the annoying tracking number anymore if you choose the flat rate shipping method and ordered over US$30. 45 days return warranty will as well improve our service. Last but not least, during (Nov.24~Nov.29), Shop in Rosegal and screenshot the order details might make you become the winner. Share the screenshot on Instagram or Facebook contest post with #RGBLACKFRIDAY. Rosegal will choose 3 random winners every day. Each winner will receive a $100 Gift Card.